Those pesky monsters, always sticking their noses where they don't belong. Adult Swim Games published Monsters Ate My Condo, and it was one of my favorite mobile games of all time. When I first got an iPad Air, I downloaded it and enjoyed myself for hours. So imagine my excitement when I heard that PikPok had been hard at work on a follow-up for the colorful series with gleeful kaiju stomping around condos. 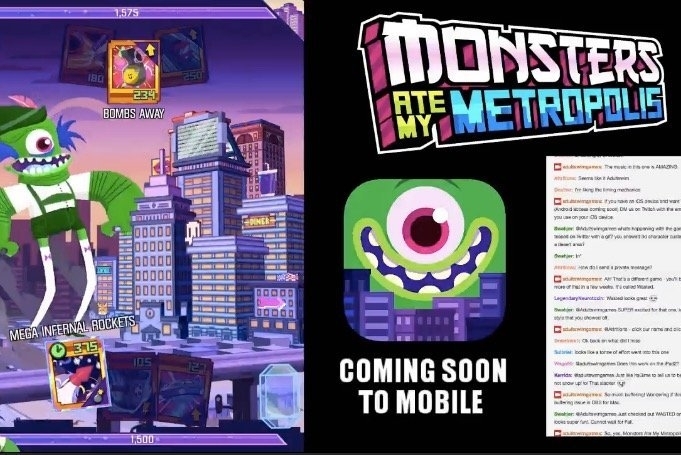 The latest addition to the series is Monsters Ate My Metropolis, and while it shares a familiar name with the rest of the games, it's also going to be quite different. 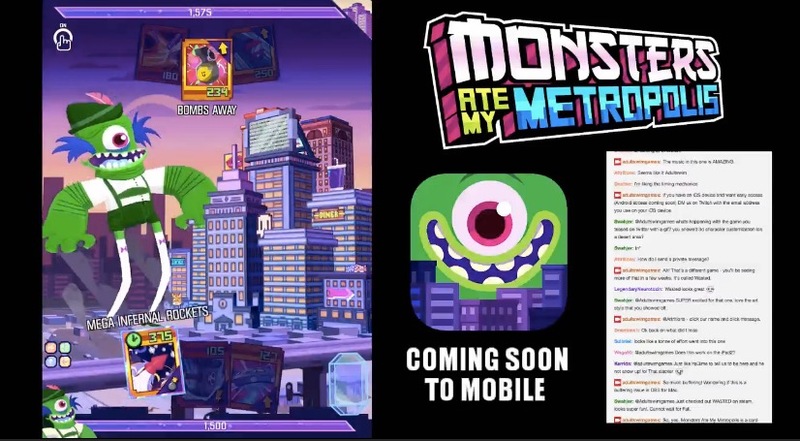 Rather than featuring colorful monsters gobbling things up and smashing things with glee, it's actually going to be a card game that looks a whole lot like Monsters Ate My Condo, but you'll have to create decks and maintain them to stay afloat. There's a rock paper scissors aspect to the game as well, where you'll be taking turns to keep things shaken up. It's a whole new ballgame, which Adult Swim Games demonstrated on today's Twitch stream. We'll bring you more details when we've had our hands on it. We can't wait!